Rumiko Takahashi is one of the wealthiest women in Japan. The manga she creates (and its anime adaptations) are very popular in the United States and Europe where they have been released as both manga and anime in English translation. Her works are relatively famous worldwide, and many of her series were some of the forerunners of early English language manga to be released in the nineties. Takahashi is also the best selling female comics artist in history; well over 100 million copies of her various works have been sold. Though she was said to occasionally doodle in the margins of her papers while attending Niigata Chūō High School, Takahashi's interest in manga did not come until later. During her college years, she enrolled in Gekiga Sonjuku, a manga school founded by Kazuo Koike, mangaka of Crying Freeman and Lone Wolf and Cub. Under his guidance Rumiko Takahashi began to publish her first doujinshi creations in 1975, such as Bye-Bye Road and Star of Futile Dust. 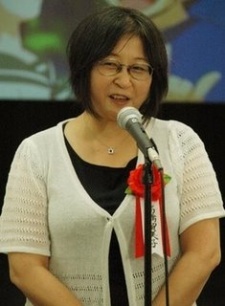 Kozue Koike often urged his students to create well-thought out, interesting characters, and this influence would greatly impact Rumiko Takahashi's works throughout her career. Career and major works: Takahashi's professional career began in 1978. Her first published story was Those Selfish Aliens, a comedic science fiction story. During the same year, she published Time Warp Trouble, Shake Your Buddha, and the Golden Gods of Poverty in Shōnen Sunday, which would remain the home to most of her major works for the next twenty years. Later that year, Rumiko attempted her first full-length series, Urusei Yatsura. Though it had a rocky start due to publishing difficulties, Urusei Yatsura would become one of the most beloved anime and manga comedies in Japan. In 1980, Rumiko Takahashi found her niche and began to publish with regularity. At this time she started her second major series, Maison Ikkoku, in Big Comic Spirits. Written for an older audience, Maison Ikkoku is often considered to be one of the all-time best romance manga. Takahashi managed to work on Maison Ikkoku on and off simultaneously with Urusei Yatsura. She concluded both series in 1987, with Urusei Yatsura ending at 34 volumes, and Maison Ikkoku being 15. During the 1980s, Takahashi became a prolific writer of short story manga, which is surprising considering the massive lengths of most of her works. Her stories The Laughing Target, Maris the Chojo, and Fire Tripper all were adapted into original video animations (OVAs). In 1984, after the end of Urusei Yatsura and Maison Ikkoku, Takahashi took a different approach to storytelling and began the dark, macabre Mermaid Saga. This series of short segments was published sporadically until 1994, with the final story being Mermaid's Mask. Many fans contend that this work remains unfinished by Takahashi, since the final story does not end on a conclusive note. Another short work left untouched is One-Pound Gospel, which, like Mermaid Saga, was published erratically. The last story to be drawn was published in 2001, however just recently she wrote one final chapter concluding the series Later in 1987, Takahashi began her third major series, Ranma ½. Following the late 80s and early 90s trend of shōnen martial arts manga, Ranma ½ features a gender-bending twist. The series continued for nearly a decade until 1996, when it ended at 38 volumes. Ranma ½ is one of Rumiko Takahashi's most popular series with the Western world. During the later half of the 1990s, Rumiko Takahashi continued with short stories and her installments of Mermaid Saga and One-Pound Gospel until beginning her fourth major work, InuYasha. While Ranma ½, Urusei Yatsura, and Maison Ikkoku all were heavily seated in the romantic comedy genre, InuYasha was more akin to her dark Mermaid Saga. The series became her most eclectic work, featuring action, romance, horror, fantasy, (folklore-based) historical fiction, and comedy.